It isn’t always easy to know to what way of life we are being called. St. Francis of Assisi himself didn’t understand from the beginning of his conversion what God wanted him to do, but St. Francis was open to the working of the Spirit in his life and was willing to follow where the Spirit was leading him. For us as well, if we are to hear the voice of God and to respond to His unique call for each one of us, we have to be open and receptive to the signs in our life that point the way to what we are meant to be. This listening and responding to God’s call for each one of us is called discernment and it is a process that gradually makes clear what we are being called to. Most High, Glorious God, enlighten the darkness of my heart and give me true faith, certain hope, charity, sense, and knowledge, Lord, that I may carry out Your holy and true command. 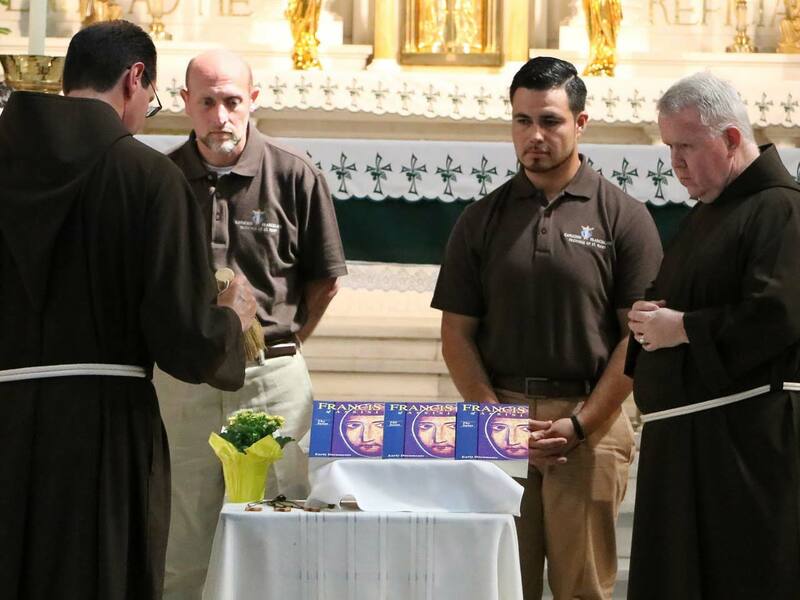 If you feel the Lord may be calling you to serve God and His Church as a Capuchin Franciscan, please let us know. We would be happy to help you with your discernment. Fr. Marvin Bearis, O.F.M. Cap. Bro. Paul Crawford, O.F.M. Cap. 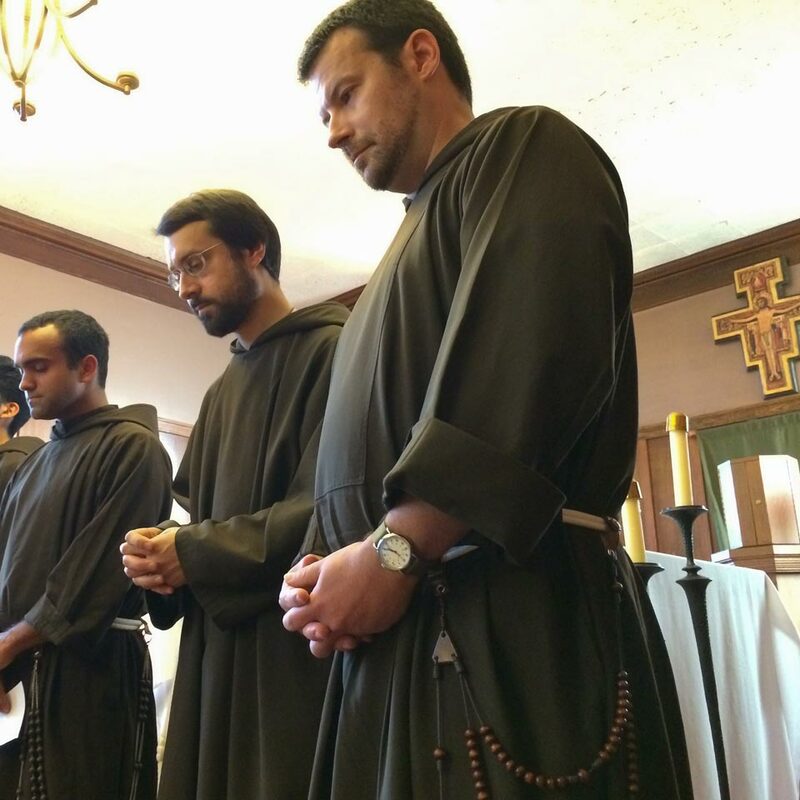 We offer a number of discernment weekends throughout the academic year to give you an opportunity to meet with other men your age with similar interests as well as get to know some of our Capuchin Franciscan brothers. Fr. Marvin will be happy to visit and talk with you about these discernment weekends. You are also encouraged to visit our Capuchin Franciscan friaries and ministerial sites to become more familiar with our way of life and to witness our brotherhood in action. If we are to be true followers of Jesus Christ, we have to choose whether we will live our lives in accord with God’s purposes or whether we will stand in the way of the unfolding of the Kingdom of God, which is simply the way that God wants the world to be. And we can’t wait to make that decision- we have to make that choice and we have to act right here, right now. To be honest, all this sounds a lot more momentous and a lot more dramatic than it actually is. It’s not like we have to make a grand statement of our decision for or against God and then be done with it. And it’s not like we have to set out to do great things and to carry out great projects in order to show our desire to do God’s work here on earth. What we have to do is to look at ourselves and then look at the world around us and then figure out how we can help to heal the broken and hurting world that we see. That is where the idea of vocation comes in. God calls each one of us to a particular vocation, which is nothing more and nothing less than the particular role in God’s loving plan for the world that only we can fill. God loves us too much to do anything in our world without our cooperation and our involvement, so the primary reason that God calls each of us to a particular vocation is that He needs us. In other words, God ministers to and cares for the world through the gifts that we have been given for that very purpose. Now we realize that every person’s vocation is unique to them. Years ago, the idea of vocation- that is, the role God has chosen you to fill in His loving plan for the world- was primarily about the call to religious life and the priesthood; as if the single life and marriage were not really valid ways of life at all, only second-best realities for those who were not called to be a sister, or a brother, or a priest. But thankfully we have gotten past that way of thinking. Whether you are married, or single, or a religious, or a priest, as long as you are searching for what makes you happy and for what can make the world you live in a better place, you are glorifying God and changing things for the better. When we look around us and see what needs to be done in all the situations we are involved in, and then we begin to do whatever we can to take care of those needs, then we are answering God’s call for us. Then we are becoming creators along with God, participating in God’s constant re-creation of the world into what it was always meant to be. We then open ourselves to God’s purposes and becoming an instrument of those purposes. We are becoming the love and compassion that God has for the world and that makes all the difference.